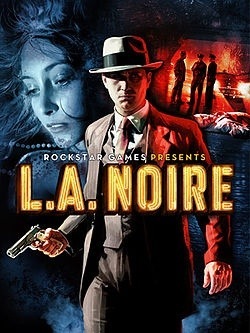 Rockstar, famous for the thrilling Grand Theft Auto series, make a move into the gritty with LA Noire, a game set in and around a 1940’s Los Angeles. You control Officer Cole Phelps, a guy fresh out of the US Marines following the war, newly gifted with bravery medals. Phelps longs to make a name for himself and as you move from case to case, aiming for a promotion to the top is the game. The game blends some of the best visuals I have ever seen, with some genuinely fantastic storytelling, especially towards the end of the game when cases tend to take on a life of their own and become large beasts. Face recognition is that good that when a new character turns up, you actually think “oh, what’s he been in?” and can actually recognise the actors playing the parts. What the game does suffer from however is pace. There’s a lot of time spent questioning suspects and witnesses and this results in a lot of characters becoming prominent in each case. Sometimes this can be excessively so and the detective work takes a back seat to just trying to figure out who the hell is who. Also, continuity riled me in this game. So, you pick up YOUR car outside police headquarters and absolutely trash it, setting it on fire, the lot. You have to abandon it and pick up another car and head to the case. You go through the case, then return outside and the car you had previously destroyed is sat there waiting for you all pristine and beautiful. LA Noire is a decent game though and it is quite thrilling. You actually feel like a detective doing the work as you interrogate and question everyone involved. Very linear and can fall into the realm of boring in places where you actually look forward to a quick chase scene. This entry was posted in Xbox and tagged LA Noire, Rockstar, Xbox. Bookmark the permalink.